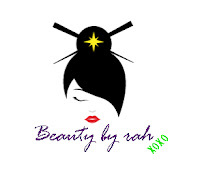 We know how Japanese women arguably have the smoothest skin, and the contributing factor is probably the amazing skincare products. 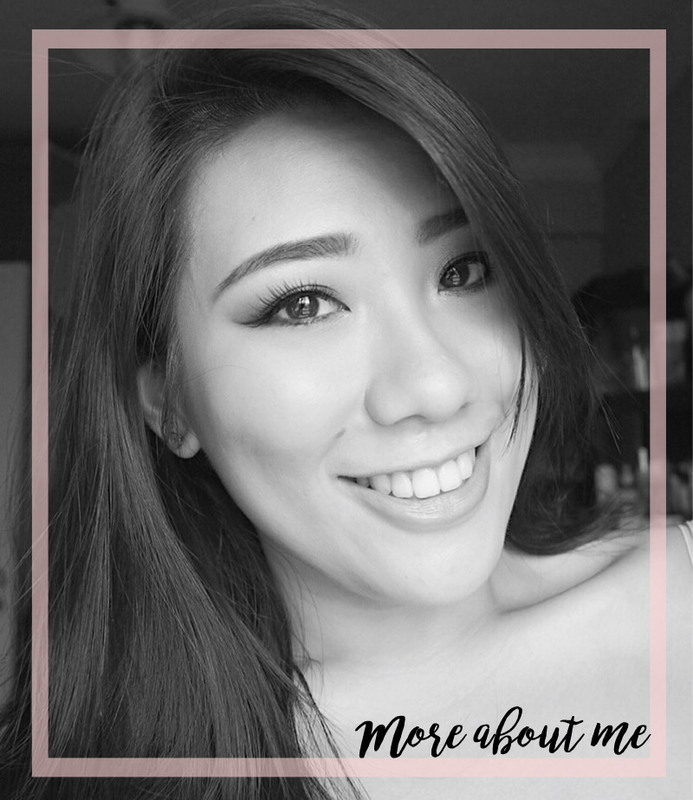 When I visited Tokyo last year, I definitely realised that skin care is a priority as there were a myriad of products catering to perfecting that skin from within. Recently, I got introduced to the Japanese Brand Afriel and Lofiel, and their perfect cream from the online site, COSME-DE.COM. I could not find a ton of information on the company but from what I've gathered, this company does not mass produce its products (and that does appeal to me). 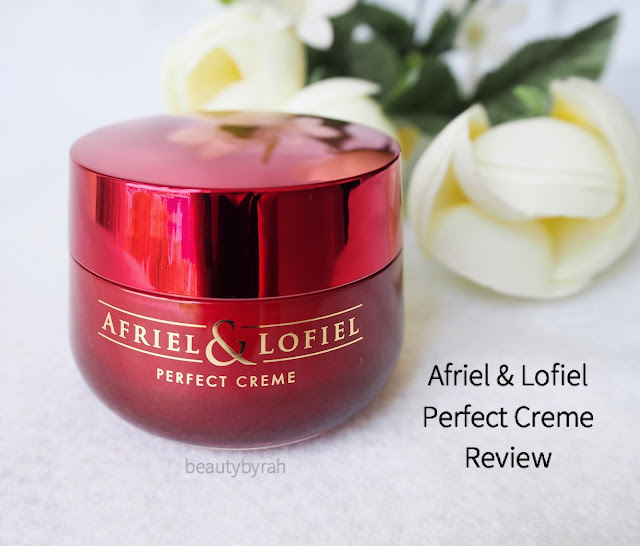 Aimed at creating perfect, ageless skin, Afriel and Lofiel came up with the Perfect Cream - one that targets fine wrinkles, coarseness, sagging, dullness, blemishes and dryness. Main ingredients include Yeast Extract, Gingko Biloba and Coix Seed. Yeast extract is pretty hyped up, considering that people swear by products such as *ahem* SK-II religiously. Pieta found in SK-II is a fermentation product of yeast. Yeast is an excellent source of peptides, proteins, amino acids, carbohydrates and nucleic acids - aka - very beneficial in hydrating the skin and for skin renewal. Of course, different sources of yeast could result in varying qualities of the fermentative by-products. 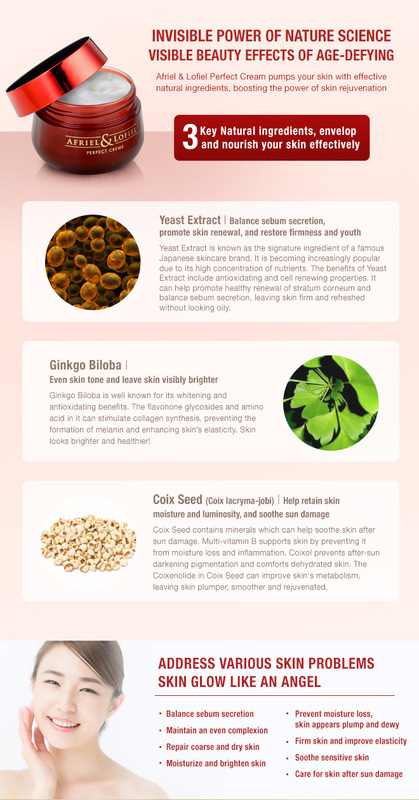 Gingko Biloba is well known for providing antioxidant benefits and its anti aging properties. It is also excellent in whitening, helping to even the skin tone and leaving the skin visibly brighter. Coix seeds (or Job's Tears) contains minerals believed to help shrink pores, prevent and treat pimples, prevent and treat sun spots and in the smoothing, refining and toning of the skin. I have been using this religiously day and night for a good 15 days straight and here are my thoughts. 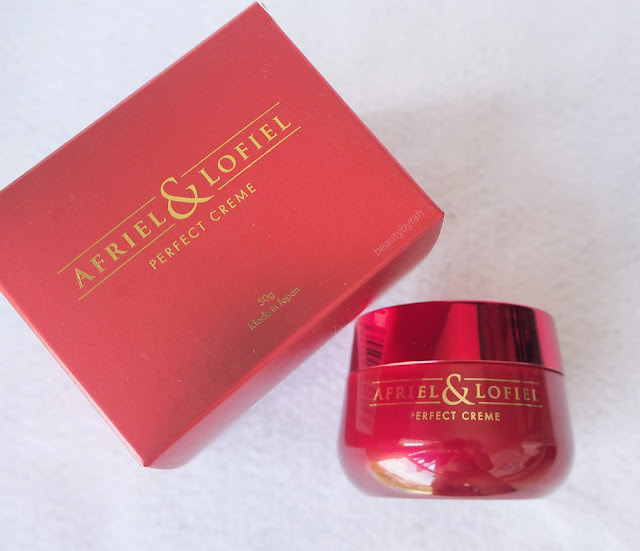 The cream comes in a sturdy plastic jar and it does look pretty luxurious. The gold print atop the red adds a hint of fancy. It does not feel cheap or flimsy in anyway, and thus, I'd say it is safe for travel as well. Texture wise, I do enjoy it. 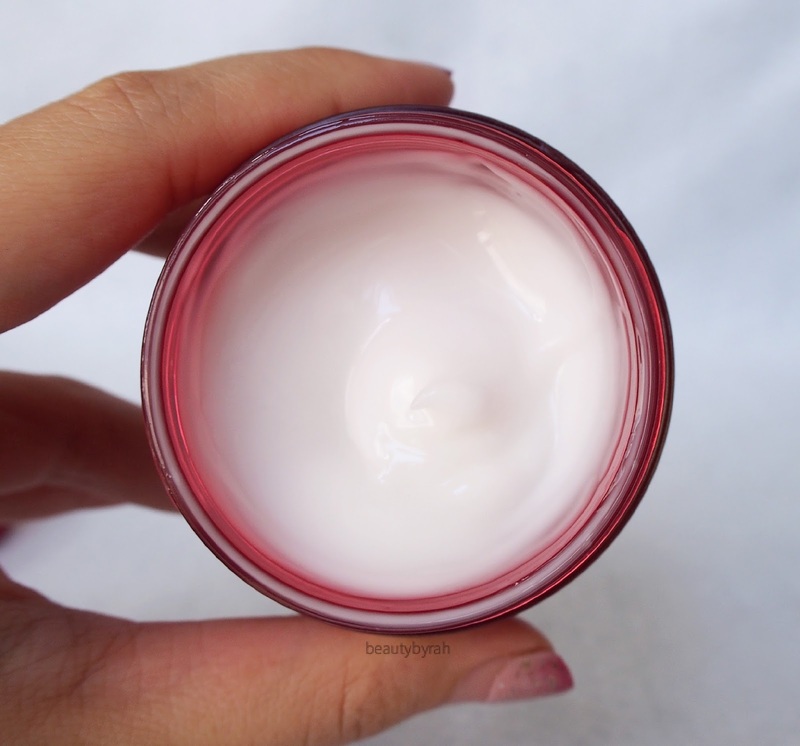 This is a pretty lightweight cream with a serum-y, silky texture. 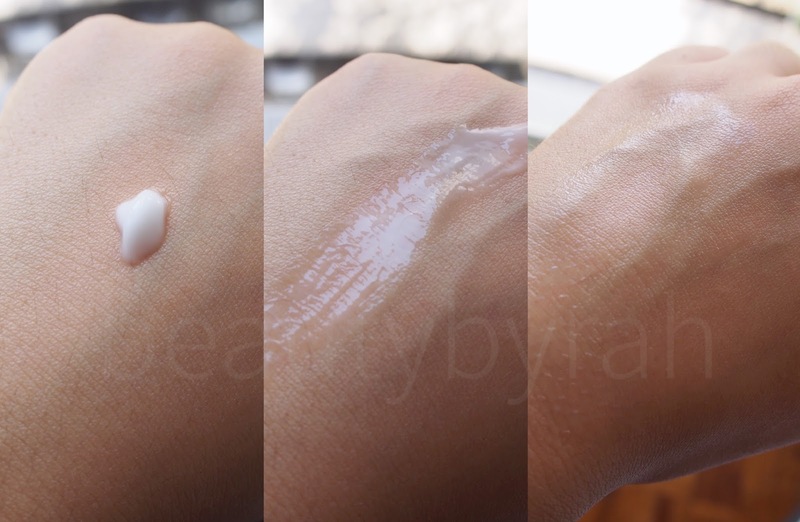 It isn't thick and creamy like many others as this is a water-based moisturiser. Once applied onto the skin, it gets absorbed pretty quickly and leaves no tackiness on the skin. My skin does not feel like there is a thick, heavy barrier on it either. There is a light scent to it - which I like. It smells slightly flowery (but not overpowering or powdery). It lingers a tad, but nothing that will irritate or bug you. In fact, I rarely notice the scent after applying it. My skin is oily yet dehydrated so hydration is key for my moisturisers. I tend to get really oily if the moisturiser isn't hydrating enough, as my skin will produce more oil in attempt to keep the skin from losing any moisture. I will also get dry patches around the nose as well. After using this cream, the first thing I noticed was that my skin became less oily throughout the day. I usually get real grease-face in the late afternoon, especially in my t-zone and my cheeks. Considering that my makeup routine was pretty standard recently (same foundation and setting powder), I'd have to attribute this win to the moisturiser. 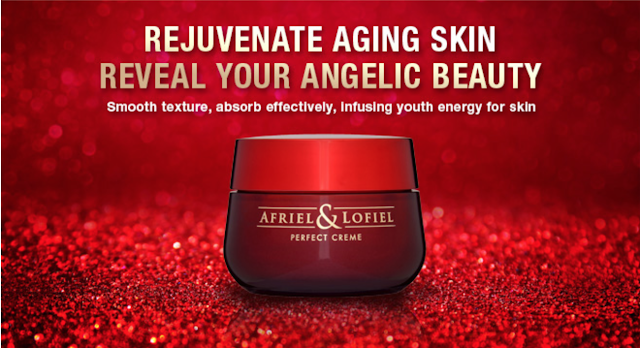 Due to the sensitivity of my skin, I was afraid that I would break out when switching to this cream. I'm happy to report back, my skin has not given me any shizz. In fact, it is looking pretty darn good. My redness has taken a back seat and my skin is way less red (especially my cheeks). I've also noticed that my skin texture is smoother than before. Lastly, my makeup goes atop it nicely and it does not result in the foundation separating (which I have had previous experiences, oh dear). Overall, I am enjoying this day and night cream and am going to continue to use it! Pros include the texture, scent and the impressive list of ingredients. The only con that I can think of right now is the price - this retails for SGD $127 (or USD $90) for a 50g tub. Then again, good skin care is worth paying for and this does not exactly cost an arm and a leg like some other creams out there. 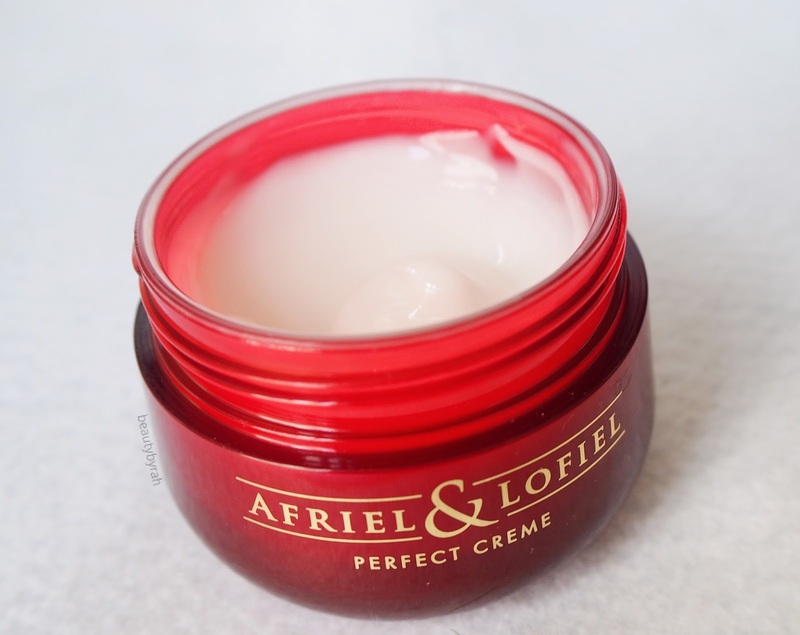 You can purchase this cream off COSME-DE.COM and there is free shipping (along with tracking)! If you do get it, share with me your experience! Till then, Xo.